HRM Business Development is a company who believes in steady growth and progress. Both of themselves and their customers. But this is something you would find hard to believe if you logged on to their old website. With the help of iGoMoon, HRM modernized their organization’s image through an easily administered Wordpress website and a redesign. HRM Business Development has offered companies need based services in Recruitment/Search, Interim Solutions, Individual Growth and Business Development since 2005. 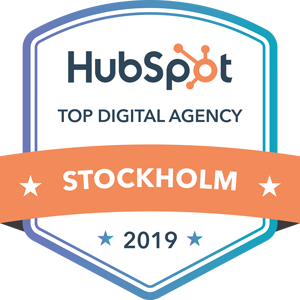 Their vision is “A Competence Competetive Sweden” and their mission is to develop people and organizations in order to help them reach their potential. HRM Businsess Development has currently have offices in Stockholm, Gotheburg and a partner in Malmö. HRMs website was in need of a major overhaul. The company has grown and it was time for the website to portray HRM the right way. Their work is flexible, dynamic and efficient, while the website communicated other values. The goal primary goal of the new website was to give visitors the right impression by breathing development and energy, while being easy to administrate for HRM. The process begun and HRM started looking around for a new Web Agency. iGoMoon was chosen after internal recommendations. HRM made it clear at the kickoff meeting that the website should give a more professional impression of the company. A visitor should feel warmth, curiosity and feel as if the site is just as dynamic as the company itself. iGoMoon suggested opening up the site’s design by working with a large graphic design. By loosening up the design and working with a lot of white space, a visitor could more easily digest the information on the site, and they would get a more modern and professional impression of the company. The first page would work as the storefront, not the entire store. iGoMoon suggested building the website in Wordpress, which is an easily administered web platform, which HRM thought sounded like a great idea. - Maja Fingalsson, CEO, HRM Business Development.